The combination of adidas Equipment archival models and modern technology of Primeknit and Boost has paid off and then some for adidas. 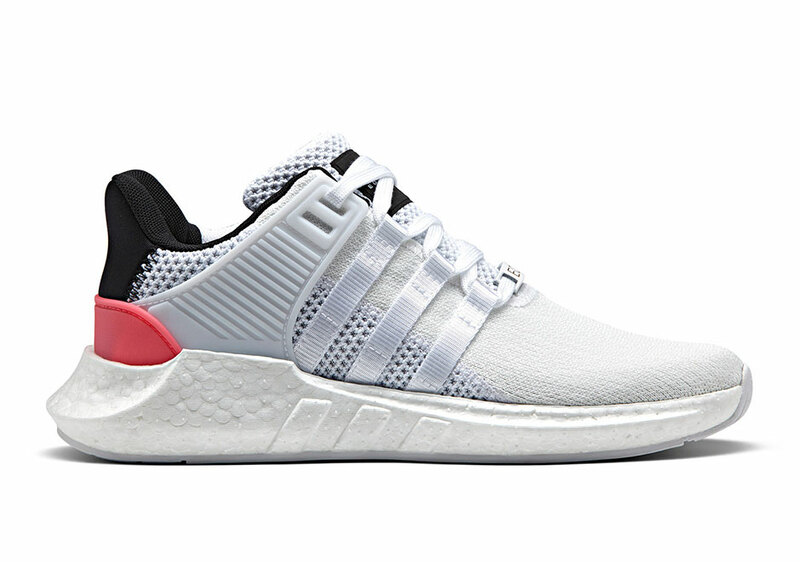 The highlight of the hybrid collective of sorts has been the adidas EQT Boost 93/17 that takes the iconic shape of the EQT Support 93 to task but updates it with lightweight Primeknit, premium suede on the medial side, and what could be the largest dose of Boost we’ve seen yet on a lifestyle model in the shape and style of the original EQT. 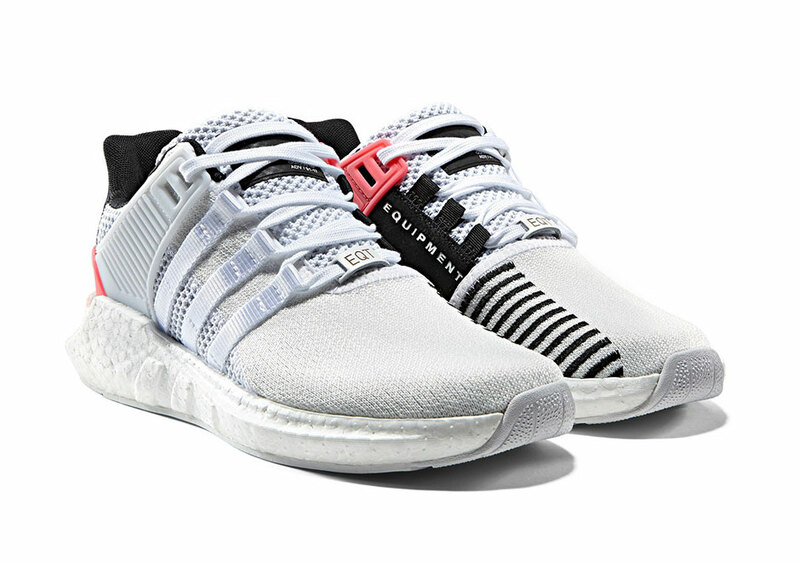 The EQT Boost 93/17 is returning on March 23rd in a clean combination of white mesh to contrast a head-turning array of stripes on the medial side while that popular ‘Turbo Red’ shade returns to liven thinks up on the heel. What do you think of the latest modernization of the lauded EQT franchise? Grab your pair from select shops and on adidas.com come March 23rd and stay tuned for more adidas Originals release updates right here on Sneaker News.